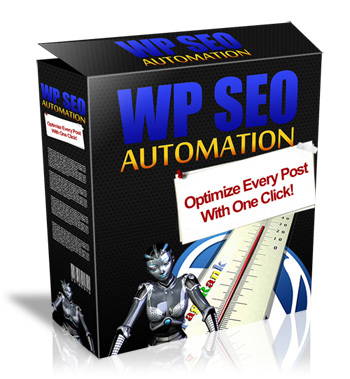 WP SEO Automation | Optimize Every Post Quickly And Easily! If you're tired of spending countless hours with the on-page SEO of your WP posts and blogs, then I have what you're looking for right here! Easily automate all of the Boring and Tedious On-Page SEO Tasks on Your Blog Post or Pages Quickly and Easily, Saving HOURS and Boosting Your Site to the Top of the Search Engine Rankings! If You Ever Wanted An Easy And Effective Wordpress SEO plugin Then Keep Absorbing All The Info Here, As It Will Change The Way You Use Your WP Blogs Forever! You might agree with me that although on-site SEO is an important piece in your plan, sometimes it can eat up a lot of your time and also can be a pain. Besides that, if by chance you forgot to optimize your on-site SEO then you will pay the price for such a grave mistake. You truly need to make the most out of your pages and posts, while at the same time saving minutes or even hours that you can use in other areas of your business. Every day new and shiny SEO plugins are hitting the market with the promise of top rankings in the search engines, easy automation and traffic flooding of your websites. I don't want to sound dramatic but most of these plugins are what I call "filler plugins". These are nothing but useless plugins that give the impression of being fully functional SEO life savers but unfortunately they are not. And I can back up my claims! A Few Months Ago I Hired A Professional WP Coder To Have A Look At These Plugins And Analyze Them To See If They Were Really Working As Advertised. I did this because I just purchased one of these "pie-in-the-sky" WP plugins but I wasn't sure if it was working correctly. After a few days, my man had very surprising news. He discovered that some of these WP plugins were just filler - in the same way some authors add fluff to their e-books - but with the difference that instead of using words, they were using coding. Besides that, they were fully loaded with strange and complicated functions that are difficult to understand. You, me and every marketer out there wants the same thing: higher rankings, traffic and MONEY. These three elements are what everybody's looking for, and it's perfectly understandable. easy to use as they should be? Most of the WP-SEO plugins Sold are Incomplete and Extremely Complicated, but TODAY that is About to Change Completely. Like you, I'm a big SEO lover and I have several websites ranking well in Google, and those websites are passively bringing in massive profits. But, the problem was that I had to manually optimize the whole on-page SEO on posts or pages. As you might know, that is quite time consuming! I spent roughly 13 minutes on each post. If I did it for 10 posts that would be 130 minutes (more than two hours). That's precious time that I could have spent in other areas of my business! So, I thought, "Heck, I would give my soul to the devil to automate this process quickly and easily." Driven by my need for automation, I spent a couple of hundred dollars on a few WP SEO plugins but to be honest, none of them impressed me. In fact, I was upset with ALL of them. They were too complicated, or at best, they were fully packed with useless functions. I would be ashamed if I was the programmer of these tools! And then suddenly, after a fierce brainstorming session, a great idea popped into my mind! I emailed my favorite coder and the same day we started to work on something that will revolutionize the way you do SEO on your Wordpress Blog forever. At first, I wanted to keep the plugin to myself as it was so simple to use, and at the same time so powerful. But, when I came to my senses I thought that this forum (and the people here) gave me so much, in exchange for nothing, that I would be a jerk if I didn't share this! That day has come, so pay attention what I'm going to share with you today. Introducing the definitive WP SEO plugin! -	Complete SEO automation on each post and page of your blog quickly and easily! - Yes, you can forget about the hassles of doing it manually! -	Properly optimize your site so that Google loves you and rewards you with higher search engine rankings. - This plugin was specifically made to please search engines in every aspect, and best of all, you don't have to be afraid of "Panda"! -	WP SEO Automation is extremely powerful, but its ease of use will surprise you! - No more confusion or frustration with complicated jargon, chaotic menus or any other gibberish! -	Now you can bold, underline, italicize, add a link to a page, link to a post, use H1-H2 tags and Image Alt automatically in less than 1 second! - Talk about automation! -	This slick plugin is very different from its competitors: it's easy, fast, reliable and TRULY can boost your chances of getting your site in Google's (or any other search engine's) top five! -	This plugin is as light as a feather - Search engines want speedy page load times, and if your page is quick enough, then you can be 100% sure that SE will love your Wordpress site. WP SEO Automation isn't loaded with hundreds of panels with fancy graphics which allows your blog to load faster! To Enjoy An Enriching SEO Experience, Click The Button Below And Gain Immediate Access To WP SEO Automation! WP SEO Automation is a slick and useful plugin that will save you time, effort and most importantly: money. Not only because it's an inexpensive plugin, but also because it was built with these eight critical SEO factors in mind. UNDERLINE, ITALICIZE, BOLD FACE - These help to emphasize certain keywords in your page/post and this is critical to the on-page SEO of your blog. The good thing is that unlike other plugins, WP SEO Automation doesn't abuse any of these, and uses them wisely (we don't want Big G getting mad at us right?). LINK TO POST AND TO PAGE - Get users and Search Engines to love you by offering a better user experience. That's exactly what links can do for you. Then, you only have to sit back, relax and watch your blog rise to the top five! H1 & H2 TAGS - This means heading-1 and heading-2. Basically it shows the bots how good the organization of your page is. Having them will certainly give you a great BOOST to your blog. IMAGE ALT - Did you know that you can get extra juicy traffic using short and to the point descriptive ALT phrases in your images? WP SEO Automation automatically adds your selected keywords to images so you can comfortably enjoy those extra visitors! Believe it or not, these are of a super importance to Google, and having them on your posts/pages can really set your blog apart. Quickly and Easily Place Yourself In A Better Position Than Other Frustrated Marketers Doing the Whole Thing Manually! I'm a big fan of simplicity and automation, and I bet you are too. Why spend hundreds of dollars on crappy WP plugins that don't deliver what they promise, when you can get a top-notch plugin that can perform better and is twice as fast? -	Great Rankings - By having a properly optimized website you greatly increase your chances of reaching Googles front page. -	Potentially generate ENDLESS streams of FREE traffic to your websites - No more PPC or Media buys or any other kind of paid traffic. -	Generate CA$H - How much money do you think you can make by being in Google's number one position for a keyword that's in demand? Hundreds? Or thousands maybe? Whether you're into Affiliate Marketing, CPA, Adsense or any other business model, WP SEO Automation will assist you in reaching Googles front page, increasing traffic and taking full advantage of your websites monetizaiton. I need to make sure that this is the right product for you. My plugin was designed for my own personal use. Those who know me know that I'm a very demanding guy when it comes to using any tool for my business. I'm dead serious when choosing plugins or software and whenever I find something trashy, it goes straight to the virtual dust bin. So, if you're the kind of warrior who downloads crappy software and is happy with it, then, WP SEO Automation is definitely NOT for you. Overall you DO appreciate value, effectiveness, automation, and you want to increase your chances at LONG TERM PROFITS for your business, then my friend, my SEO plugin will DELIGHT you! Are you ready to rock your blog's SEO? There are truck-loads of WP SEO plugins out there, but I can assure you that NONE of them come close to WP SEO Automation! Proudly, I can say that THIS is the plugin you are looking for; a true GEM. I'm In Dylan & Ken, But I Need To Know What Does WP SEO Automation cost? We're in the middle of a horrible economic recession; money is scarce, people are losing their jobs (and consequently spending less money) and governments are increasing taxes. The scenario doesn't look good at all BUT, although my plugin is worth a couple hundred dollars (don't worry, I'm not going to charge that much), I know that you're looking for economic alternatives. I'm standing behind my product 110%. And that basically means that I'm going to remove all of the RISK from your purchase so that you will be comfortable with this WSO! 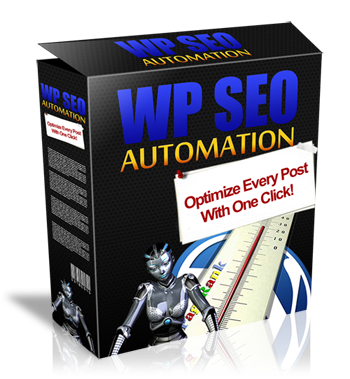 You can try WP SEO Automation today. Just purchase, test drive my plugin for 60 days, and if you're not completely satisfied, you only have to send me an e-mail and I will process your refund ASAP. There won't be questions, gimmicks or complaints. You will GET your money back in no time at all. This is what I call a TRUE, GENIUNE, and HONEST money back guarantee. Also, even if you do purchase my product, you can always contact me whenever doubts or questions arise. Unlike other unprofessional WSO sellers who are only looking for the money, my number one priority is ALWAYS customer support! For the price of a pizza, you can get a product that not only will make your site skyrocket to top of the Search Engines, but at the same time will generate you money thanks to that extra FREE traffic. To be honest, I don't know how long this offer will be available. And if you're skeptical, I'd like to tell you that I ALWAYS keep my promises. So, I urge you to grab a copy now before it is too late. You won't find these benefits anywhere else. My plugin can deliver extreme usability combined with smart SEO technology. Today, you're getting the opportunity to change your business for the better, and by clicking on the "buy now" button you're making the right choice. PS Seriously, you cannot afford to not have this remarkable plugin. After using it, you're going to see the difference between doing manual labor and having a machine doing it for you! 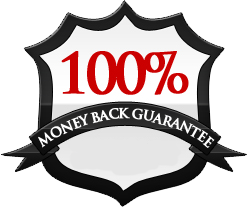 PSS I've got you covered with my 60 day money back guarantee, so you have NO excuse to not at least try WP SEO Automation! Copyright © 2011 WP SEO Automation All Rights Reserved.